A day after Virat Kohli was honoured with Rajiv Gandhi Khel Ratna award - the country's highest honour in sports - there arrived an adorable post dedicated to his wife Anushka Sharma on the cricketer's Instagram. "The person that inspires me to push forward despite all obstacles. The person that guides me to do the right thing in life against all odds. The person that has changed me inside out and made me realise the power of true love," read Virat's note addressed to his actress wife. Virat rounded off the note with powerful words: "My strength. My soulmate," wrote Virat. Shared on Wednesday afternoon, Virat Kohli's post garnered almost 4 lakh likes in less than half-an-hour. Virat Kohli's note for Anushka Sharma will melt the coldest of hearts. Aww. 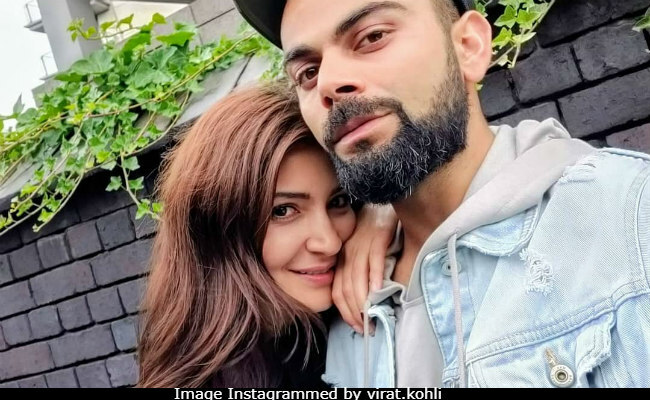 Loved-up posts featuring Anushka Sharma continues to arrive on Virat's social media, who is one of the most-followed Indian celebs and needless to say, his selfies with Anushka are always viral. On Friendship Day, he Instagrammed one with his "soulmate" but most other times, he does not need an occasion to do so. Virat Kohli has also always jumped to Anushka's defence when the Internet turned its brutal face to her. Earlier this year, the actress was trolled for a viral video, in which she can be seen asking a fellow commuter to not litter on the streets. She was quickly defended by Virat in another social media post, which slammed the trolls. Anushka, who dated Virat on and off since 2013 before finally getting married in December last year, was repeatedly blamed and trolled each time Virat underperformed on the pitch in 2015. In March the following year, Anushka was trolled again about Virat's pitch result after India reached the semi-finals of the World T20 championship, when Virat jumped publicly to her defence and posted this tweet, which recorded the highest number of re-tweets in 2016. Meanwhile on Tuesday, Virat received the Rajiv Gandhi Khel Ratna award from President Ram Nath Kovind at the annual National Sports Awards, where he was accompanied by Anushka along with the rest of his family. Anushka Sharma is currently awaiting the release of her new film Sui Dhaaga, in which she co-stars with Varun Dhawan. Directed by Sharat Katariya, Sui Dhaaga - Made In India is all set to hit screens on September 28.